Prevention is a key part of maintaining your child’s oral health, especially when their smiles are still developing. Properly formed and disease free teeth will keep your child’s smile bright and healthy throughout his or her life. 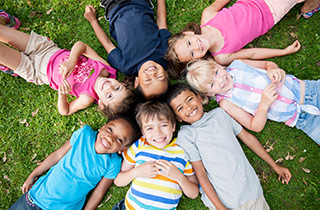 Dental sealants are one tool available for preventing dental caries, which is claimed to affect nearly 50 percent of children and adolescents in the US. Dental sealants are a form of protective cover applied to the surface of children’s teeth to help prevent cavities. Tooth decay usually starts on the chewing surfaces of back teeth, where grooves and pits trap bits of food, plaque, and bacteria. Children often find it difficult keep the grooves and pits in their back teeth clean, since the toothbrush bristles cannot reach into them, making them highly prone to cavities. But the application of plastic sealant can seal out food and bacteria, reducing the risk of tooth decay. 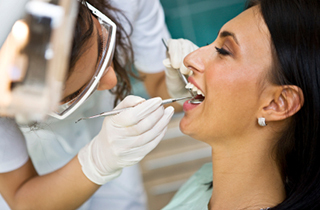 Applying dental sealants is a fairly fast, comfortable, and painless procedure. Everything is done in a single visit. First, the teeth are cleaned and dried. Next, the sealant, which is in liquid form, is allowed to flow into the grooved surfaces of the teeth and left to bond to the tooth and harden. This takes just a few minutes, creating a strong barrier that can protect tooth enamel from bacteria, food, and plaque. In some cases, a special light may be used to hasten the hardening process. Your child can eat right after the procedure. Dental sealants are usually clear or white, and virtually invisible when your child is smiling, laughing, or speaking. Regular brushing and flossing is still important. How much protection does one get from sealants? Dental sealants don’t offer 100 percent protection against cavities, though they reduce the risk considerably by sealing out food and bacteria from the sealed surface. That said, daily brushing and flossing, and good dental habits, are still necessary since only the back molars are sealed. Dental sealants are designed to last for 5-10 years with proper hygiene and dental habits, effectively protecting your child from tooth decay through the years when he/she is most vulnerable. Re-application is not necessary, though the case for every child is different and should be assessed during routine dental check-ups. Do sealants require any special care? Chewing on hard foods and ice can cause sealants to loosen or break down. So, you might want to discourage your child from chewing on hard objects. If they loosen or damage occurs, they can be reapplied. Yes. Although they are mostly placed in children and teenagers, because they’re most vulnerable to tooth decay, adults can also benefit from sealants for stained teeth or cases of mild decay. For children, the sealant can be applied as soon as the permanent molars have erupted. Find Out if Dental Sealants are Right For You! To find out whether or not you are a good candidate for dental sealants, please call us at 661-725-9105 for more information or contact us online here.